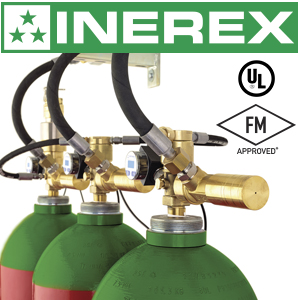 140-Liter Cylinders | Inert Gas Fire Suppression | What's Best? Are 140-Liter Cylinders Really the Right Choice for Your Inert Gas Fire System? It's the 140-liter question for many fire system engineers and their clients: Are 140-liter cylinders a better choice for inert gas fire suppression systems? The answer upfront: "Yes," "no" or "maybe," of course. Why? Because evaluating the best choices for fire protection always requires a careful examination of risk factors that can vary from one use case to another—or even one site to another. That means 80- or 40-liter cylinders can play a key role in any system architecture depending on your specific requirements. So why are 140-liter cylinders in such high demand these days? Simple—they can store the same amount of extinguishing agent within fewer cylinders. But there's just one issue you need to assess before you go big. In most use cases, multiple smaller cylinders have been required to ensure effectiveness. Which means the cylinders and the components used with larger cylinders must not only be high-quality, but also designed to help ensure effective fire suppression that meets regulatory mandates. 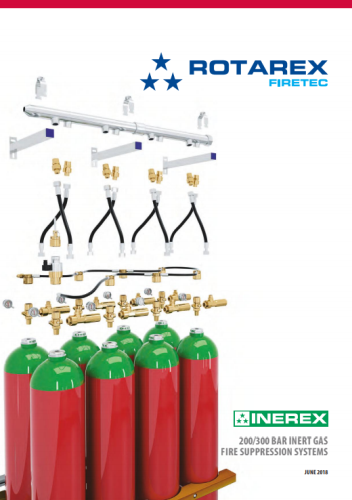 Case in point: The INEREX line of system components from Rotarex Firetec, which recently expanded its portfolio of solutions to include filled and unfilled 140-liter cylinders for either 200 or 300 bar pressures—as cylinder clamps, manifolds for 1-row of 2- to 5-cylinder, or 2 rows of 4- to 10-cylinder capacities, and more. Thanks to advanced Rotarex valve technologies discharge requirements can be achieved with larger cylinders. And that boosts productivity by allowing for the installation and management of fewer cylinders overall. This expanded lineup is UL- and FM- approved when configured accordingly in UL- and FM-certified systems. But I could go on and on. My main point is that bigger may or may not be better for your specific needs. And not every 140-liter cylinder and associated components are created equal. If you'd like to get a closer look at 140-liter cylinder valves and how they fit into a 200-300 total flooding fire suppression system that uses inert gas extinguishing agents, you can access our full catalog of solutions here (link to main landing page). And of course, if you have any questions, we'd be happy to help you narrow down the answer to your 140-liter question to a simple "yes" or "no." Or contact a Rotarex service center or distribution partner near you.